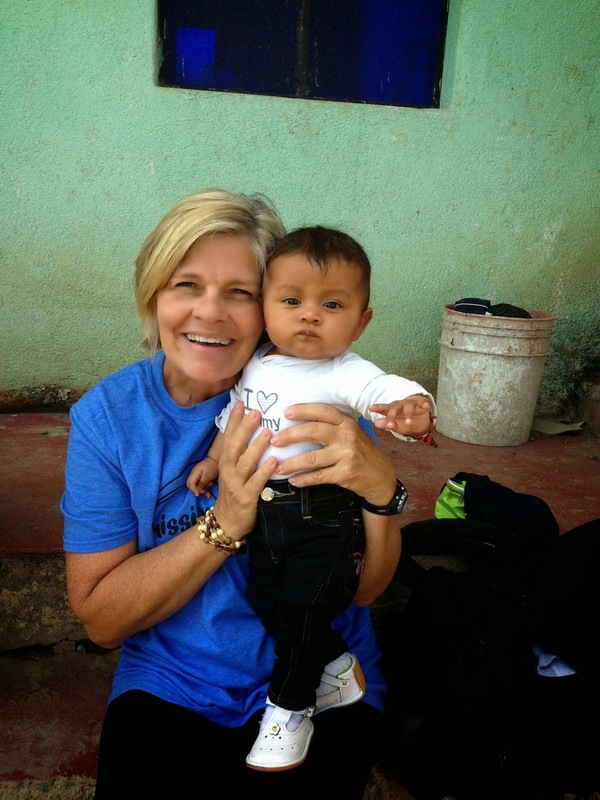 This post is written by Denise who recently took another mission trip to Guatemala with Healing Knots bracelets in tow. You can read more of her adventures on her blog. This year when I went to Eagle's Nest, I had treasured bracelets that a dear friend made for the Mama's. Since my sweet friend started making them I have been proud to wear, share, and give away the ones she made for me. Last June, she gave me a bracelet that had the exact number of beads as my birthday, so I could celebrate each year that I have lived and embrace where I am in life. It was PERFECT. 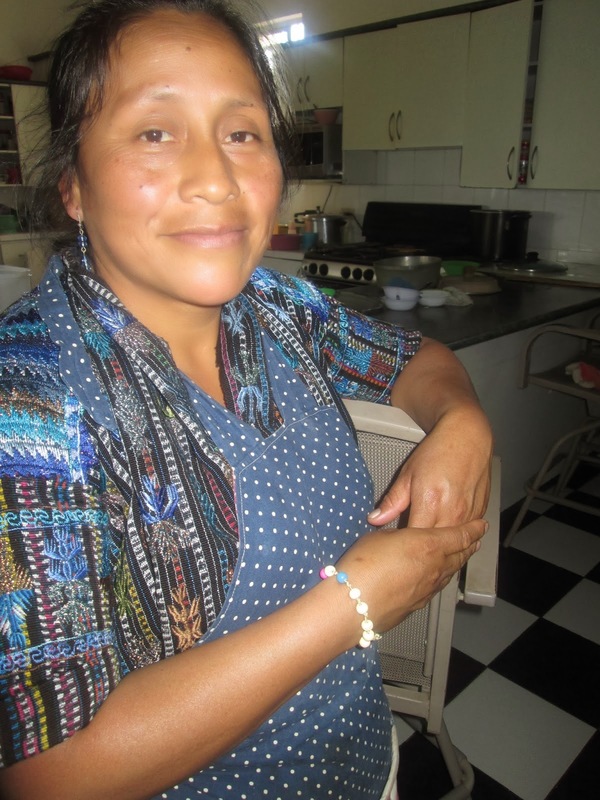 When her brother passed away she began making bracelets. She found it helped her deal with the emptiness in her heart. We have all been there. Losing a parent, a brother, a loved one, a dear friend...I remember when she first showed me a bracelet and shared from her heart we both had tears in our eyes. Corinne explains, "I can tell a story in the beads, their numbers, their colors. The knots in between each bead are where I find the most pleasure, each one is 'perfectly imperfect' just like us. The knots give each bracelet character, just as each step of our lives defines us as unique. As we "untie our knots" or troubles, you can feel the bracelet holding you and reminding you of your thoughts, hopes and prayers." I am not a big believer in "closure" after losing someone. My belief is that you learn to live through it and trust in God for comfort and healing that only he can bring. Then you slowly begin to embrace the laughter, joy, and wonderful memories that are stored in your heart. Wearing the bracelets have made me take a deep breath at times when I just needed to slow down. They have made me aware of conversations and to "listen" more attentively. Maybe a dear friend, acquaintance, travel partner, or a stranger needed the bracelet I was wearing more than me. That was the hardest part at first because I love each bracelet, the different colors, and the story behind why it was on my wrist. As I was preparing to go to Guatemala in January and serve at Eagle's Nest for a month, Corinne said she wanted to make bracelets for me to give away. I asked if she could make enough for me to take to the "Mama's" who lovingly care for all the kids. Of course she said yes and made eighteen single strand bracelets for me these very special ladies. It has been an honor to get to know them, love them, and work with them each time I am there. They are a blessing in the children's lives, as well as mine. Although my Spanish is better, the Mama's and I have many laughs when I try to communicate some things. I knew it was best if Felis translated Corrine's story about the bracelets. 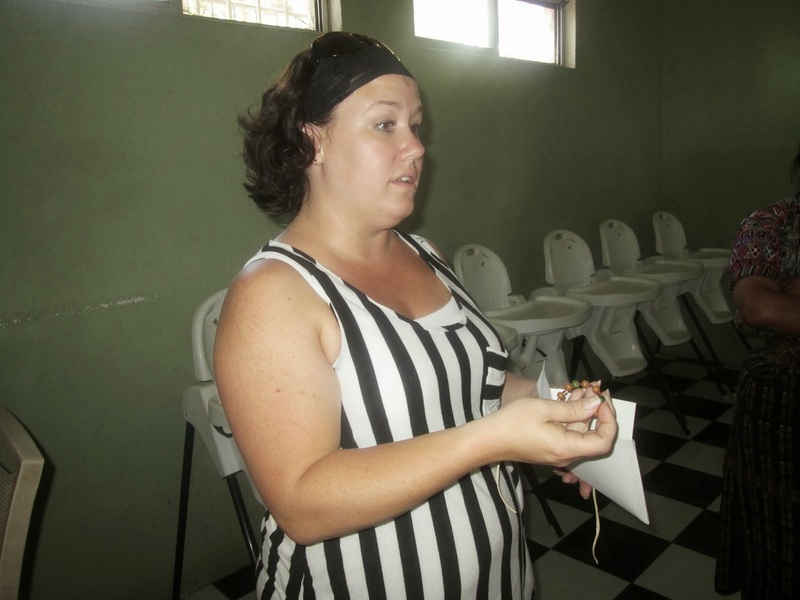 I noticed several of the ladies had tears in their eyes as she translated the story behind the bracelets. I wanted them to know how special the bracelets were and that they were made specifically for them. Felis explained they may feel led to give to someone else along the way. (Heads up Corinne ~ that means I will need more for next year!) I wasn't sure if they would wear them immediately or put them in a pocket for later. But they all put them on and loved them!! At one point, I had a handful of bracelets but during the holidays I got down to zero. I requested a light colored one with a few dark beads to take on my trip. I wore it everyday and was selfishly hoping I would make it home with it on my wrist...Didn't happen. Pedro and I walked up the mountainside into the community behind the Home one afternoon to visit some of the families. They all have children in the Manna feeding program so I see the children five days a week when they come for a hot meal and bible verse. It is not like walking down a concrete sidewalk to get to a neighbors house where I live. Nor or the homes equipped with heat, air, electric, running water, laundry machines, kitchens. Bottom line, it is a different way of living than here. It was great to meet the parents and siblings of so many of the children I have seen come to Manna the past few years. This mom and her husband lived in a small room near what would be called the main house. She scurried off and quickly appeared with this adorable six month old baby, dressed in his best clothes, and handed him over to me. It was sooooo sweet. I held him the entire time we were there. Before we left, Pedro put the baby inside his duffle bag. He fit perfectly and we all laughed and laughed. He told them I am always wanting to put a baby in my backpack and bring him home. Wishful thinking I might add. I thought we took a photo but I can't find it, was adorable. The point of the story is that I felt led to give my bracelet to this sweet mom. I don't know her story, if her husband works, how they make money to eat & buy clothes. Nothing. I do know they are God's children and I love them. I took my bracelet off and communicated with her in my broken Spanish that I wanted her to have it. Pedro then gave a quick background on the bracelet. She had a big smile and I was so happy I had it to share. Thank you Corinne. 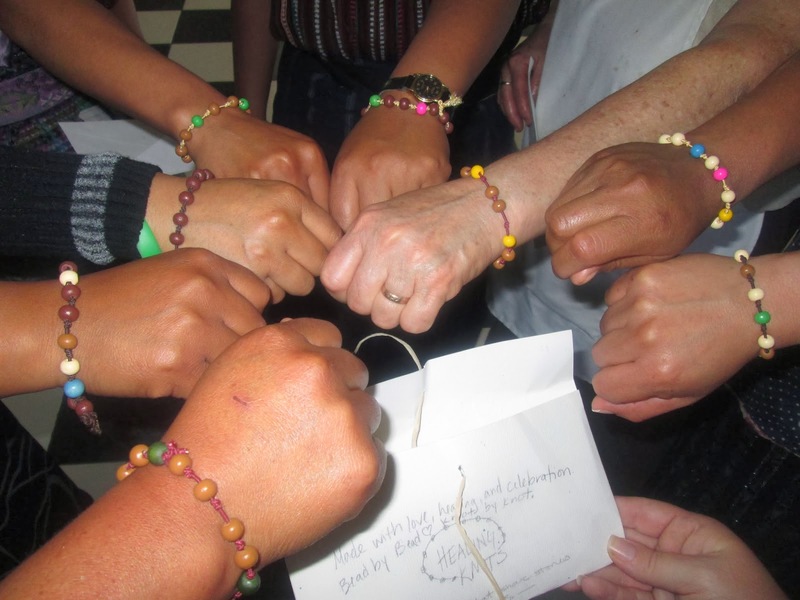 Thank you for your loving, caring, heart and for these wonderful bracelets that are touching hearts all over the world, and now in Guatemala.